It’s no secret that yoga is good for you. It can increase strength, improve flexibility, balance, and reduce stress… and it can help you reshape your body and lose weight. But to get the most out of your yoga practice — to realize the benefits that can make a real difference in your daily life — you have to be consistent. That’s where Yoga52™ comes in. Openfit handpicked not one, but five world-class certified instructors, and put together three flexible schedules to choose from, so you can get all the benefits of yoga — on your terms. You decide when and how often to practice… you can even pick a favorite yoga instructor and dedicate yourself to their classes if that’s what keeps you motivated. The 30-Day Yoga Challenge encourages you to build a strong yoga practice from the start by challenging you to a class every day of the month. If you’re looking to progress quickly with a more results-driven track, the 8-Week Yoga Challenge is for you. And if you want something a little more flexible, the 52-Week Class Schedule lets you practice just once a week. All three are coming soon to Openfit! Is Yoga52 right for me? Whether you’ve mastered your vinyasa yoga-flow or you’re just beginning a yoga practice, there’s a Yoga52 path for you. This comprehensive program meets you at your skill level. Follow one of our schedules or challenges or forge your own path by picking and choosing the classes that make sense for you. The choice is yours. How is Yoga52 different from other yoga programs? Openfit’s Yoga52 takes away the pressure of driving to a yoga studio and worrying about whether your skills measure up. And it’s more than just a random routine you find online. This is a program that is designed to evolve with you — so that each time you return to the mat, you’ll feel a bit stronger and a little more flexible, and you’ll be one step closer to feeling all the benefits that come with a sustained yoga practice. A healthy year of yoga? It’s possible and it starts with your first Yoga52 class. When it came down to crafting the best online yoga experience, we asked ourselves if we could create streaming yoga classes — designed for you to do at home — with descriptive instruction so precise, you’d never have to look up from the mat. The answer is yes, and even we’re in awe of how precision instruction has gone from on-the-ground concept to online reality. Our team of instructors first designed each class with easy-to-follow cues for the at-home yogi — and then took it one step further by testing the prompts on everyday people who don’t normally practice yoga. The result? Nobody felt lost and everybody felt confident on the mat. So now yoga at home doesn’t have to mean sacrificing form or the quality instruction you’d get in a studio. Whether you’re just beginning your yoga practice — or you’re looking to perfect it — Yoga52 is the program that teaches you precisely how to move and when. What do you need to start Yoga52? All you need is a yoga mat for Yoga52 and a subscription to Openfit; roll it out and get started as soon as you’re ready. Additional accessories, such as yoga blocks, straps, and blankets, are optional. We scoured the globe to find the most dynamic yoga instructors practicing today. Odette Hughes, Brent Laffoon, Micki Duran, David Regelin, and Marie Grujicic bring their own styles and backgrounds to make Yoga52 engaging and effective for people of every skill level. If you’re looking to improve your technique and alignment — or to restore your body — Odette Hughes can help you create a foundation for your practice. Do you want to feel strong, flexible, and balanced? Celebrity trainer Brent Laffoon can show you the way. Should you need a little motivation to stick with your practice, Micki Duran can help you discover your potential — and surpass it. If you’re up for a challenge, and willing to drip sweat, David Regelin will bring the heat. And if you want to keep flowing while finding your focus, Marie Grujicic can help keep you on track. We spent months auditioning and testing hundreds of instructors before selecting five of today’s most in-demand yoga instructors to be a part of Openfit’s Yoga52. Each highly educated, certified expert — Odette Hughes, Brent Laffoon, Micki Duran, David Regelin, and Marie Grujicic — has taught across the globe and knows firsthand what it takes to bring the power of yoga into daily living. Join them as they guide you with thoughtful attention and skilled precision through your healthy year of yoga. A graduate of Georgetown University, Odette Hughes is a registered yoga teacher and certified yoga therapist with advanced degrees in physiology and yoga therapy. Odette’s passion for yoga goes beyond the studio — she hopes to connect with physicians and expand the field of integrative medicine to include yoga as a part of everyday health. 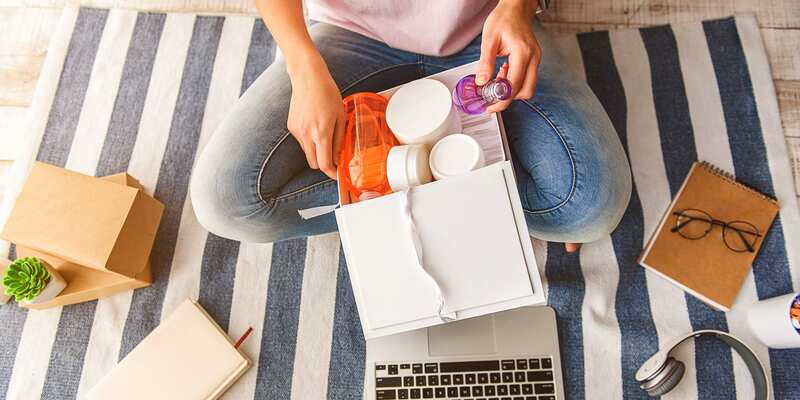 She doesn’t believe in a one-way-fits-all approach and celebrates the opportunity to help you find your own inner guidance, all while keeping things fun and lighthearted. Considered one of the world’s top yoga instructors, Brent Laffoon is a lead teacher trainer for high-end fitness clubs and studios. Brent’s classes blend traditional yoga philosophy with creative movements to challenge the body and open the mind. His easygoing, encouraging nature has made him a popular teacher for yogis of all backgrounds and levels. 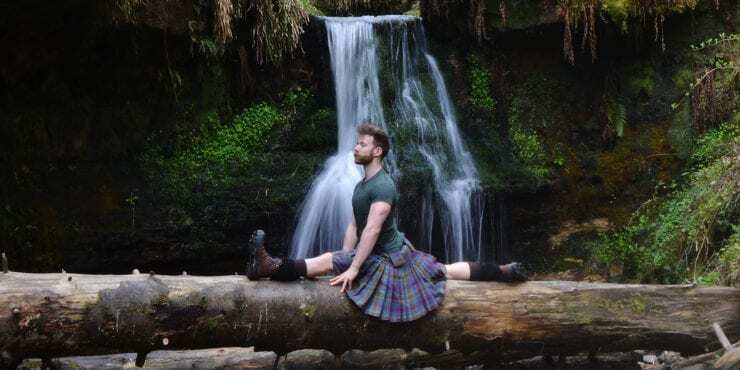 Before yoga, Brent spent time as a college football player, a Peace Corps volunteer, and screenwriter — diverse vocations that have helped him make yoga accessible to a wide range of people from all walks of life. Paris native Marie Grujicic moved to the French Riviera in her youth to study theater, dance, and art. After touring across Europe with the largest theatrical producer in the world, she moved to the U.S. to continue her artistic career. She found success in Hollywood, both as an actress and as a student of yoga. After many demanding years onstage and multiple injuries, a consistent yoga practice helped Marie heal her body and find calm away from the chaos of the entertainment industry. Following 10 years of extensive training with some of yoga’s biggest names, Marie established herself as a go-to instructor in the industry. Because of her background, Marie’s yoga style can be dance-like and fluid, but always with a keen focus on proper alignment. David Regelin first gained popularity as a teacher in New York when he began choreographing vinyasa classes to live music. 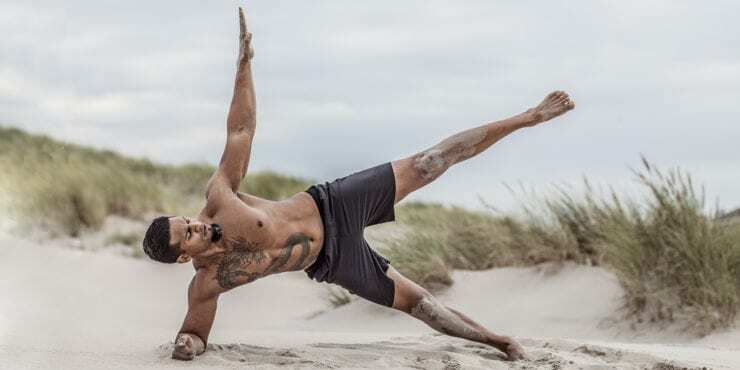 He then went on to garner a devoted following for his “Multi-Intenso” experience, a dynamic style of yoga that made him one of NY’s most in-demand teachers. Now, nearly 15 years later, David has been named one of the “100 Most Influential Yoga Teachers in America,” and has since shifted his teaching to focus on how postural practice can ignite deep mind-body awareness. By precisely aligning our bodies, David believes we hold the key to unlocking the transformative power of yoga. How many times should I do Yoga52 in a week? There’s no wrong way to do Yoga52 — this is yoga, so being a free spirit is encouraged! You decide whether to follow one of three class schedules, or create your own path by choosing the classes and instructors that suit you best. The program is designed to work with your schedule, so you can squeeze in as little as one class a week, or to progress more quickly, do a class every day of the week. What matters is that you follow a schedule that fits your life and helps you establish a regular yoga practice. 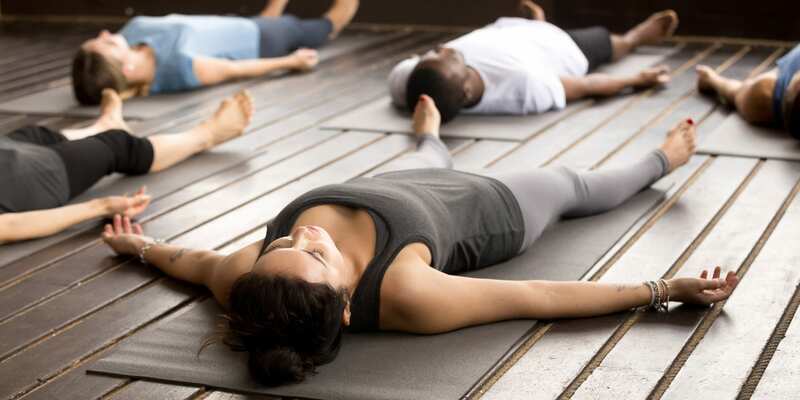 Vinyasa yoga is one of the most popular styles of yoga in the U.S. and it’s all about synchronizing the breath with the body in a continuous flow of poses. Most Yoga52 classes are vinyasa-style, with a focus on mobility, balance, flexibility, and core strength. What are the benefits of doing Yoga52? The fluid movements of Yoga52 can help you de-stress, build strength and flexibility, improve balance, and shape your body the way only yoga can. With a consistent practice like Yoga52, all the benefits of yoga are within your reach. Yoga52 is for anyone who enjoys yoga and is looking for a way to make it a part of their regular routine. Anyone who wants to feel the benefits — a calmer mind, a stronger body, a healthier attitude — but doesn’t have the time or resources to make it to a studio. Anyone who wants one-on-one instruction from world-class teachers without having to travel the world to get it. Anyone from newbie to bona fide yogi who wants to advance their skills and make tangible progress on their own terms. Whether you’re just beginning your yoga practice or you find standing on your hands more comfortable than standing on your feet, there’s a Yoga52 path for you. Again, there’s no one set path when it comes to Yoga52. The program is designed for you to have a healthy yoga practice 52 weeks a year. That might mean you’re on the mat one day a week for 30 to 45 minutes or you could practice every day for a month and then move on to a more intensive 8-week schedule. It all depends on what your body is comfortable with, how much time you can devote to it, and how quickly you want to see results. Are the Yoga52 instructors certified? Yes. Every one of Openfit’s Yoga52 instructors — Odette Hughes, Brent Laffoon, Micki Duran, David Regelin, and Marie Grujicic — is a certified expert who has devoted years to the practice and teaching of yoga. Is Yoga52 good for yoga beginners? Yes, Yoga52 is a comprehensive program with three different levels to help keep you challenged and evolving. Level 1 classes are suitable for beginners and are designed to give you a strong foundation. They serve not only as a refresher of the basics, but also as restoration and recovery routines. As you advance, Level 2 classes help build on that foundation while increasing the intensity and complexity of the poses and sequences. Level 3 classes are the most advanced, challenging your strength and skill and introducing more demanding poses. Do I need any equipment to do Yoga52? 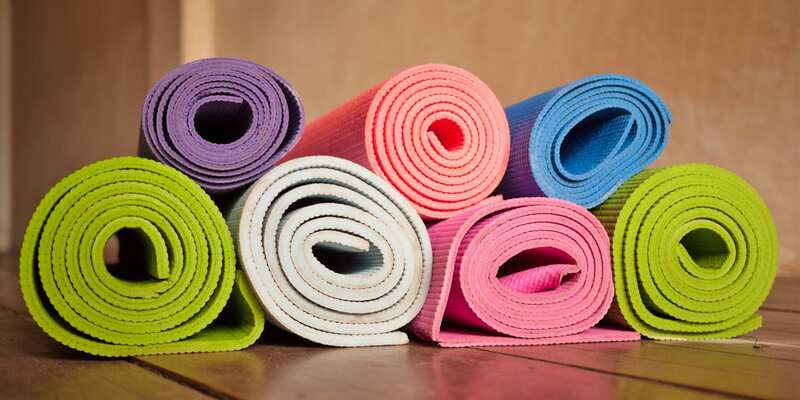 All you need is a yoga mat to get started. Additional accessories, such as yoga blocks, straps, and blankets, can help ease some of the movements, but they are optional. Is there a nutritional component to this program? Yes, all Openfit programs come with a customized nutrition plan that tells you exactly what to eat so you can feel healthy and get the most from your classes. Get to Know the 5 World-Class Instructors of Yoga52! Barre vs. Pilates vs. Yoga: How Do They Compare?